Malky Mackay believes Cardiff's 0-0 draw at Huddersfield Town was a point gained rather than two points dropped. Cardiff dropped points for only the second time in eight Championship games against managerless Huddersfield. 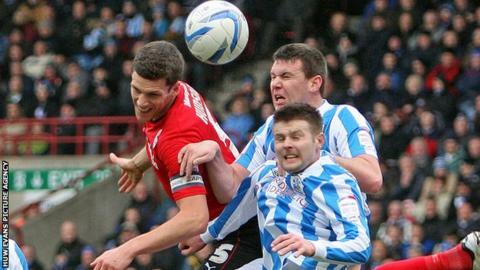 "That was another point gained for us playing against a side who are now six unbeaten at home," Mackay said. "It was a very, very tricky pitch, probably one of the poorest we've played on and that being the case it was another point gained. "I was very proud of the players in terms of the discipline they showed. It was just easier to get it and kick it today. "On another day one of the two or three chances drop in but it was a particularly tricky pitch. I'm delighted with my team's performance." Defender Matthew Connolly had Cardiff's best chance when he hit the post in first-half stoppage time and Craig Bellamy twice went close. The Bluebirds lost Kevin McNaughton at the end of the first half after an accidental elbow left the defender with a wound which needed stitches. McNaughton had been drafted in as a replacement for the injured Ben Turner for the game at the John Smith's Stadium. "It was just unlucky, there was nothing malicious," said Mackay. "He needed a lot of stitches. It was a full-blooded game but hopefully he'll be ok in a couple of days."